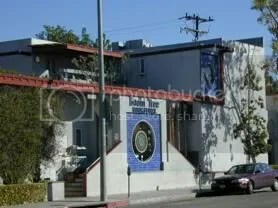 Today I found out that the Bodhi Tree bookstore on Melrose in LA is closing in the next year. I first started going to the Bodhi Tree when I was about 12 years old. The store, which specializes in spiritual/metaphysical books, was one of my mother’s favorites. I spent many a Saturday afternoon with her there looking for books through my teens. At the time, I was more a fan of their fiction section and their used bookstore. Many of the older books on my bookshelves today came from those trips with my mother. With its creaky wooden floors and the smell of incense, the Bodhi Tree is where, thanks to my mother, my love of independent & unique bookstores started. And probably my love of literature. One of my favorite purchases was a collection of E.M. Forster’s works. I know my love of British literature started with that book. The Bodhi Tree is a landmark on the independent bookstore scene. In the last year, Vroman’s bookstore–another fixture in my bookstore/reading life–saved Book Soup–also one of my favorite independent bookstores in LA. Maybe the Bodhi Tree can similarly be saved. If not, I’ll be sad to see it go. To bad we can’t trade a few Borders and Barnes & Nobles just to save it.